Having unprotected endpoints that are vulnerable to viruses, worms and other forms of malware just isn't an option. On the other hand, many antivirus solutions create nearly as many problems as they solve. 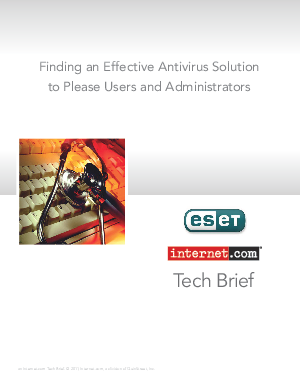 Download this Tech Brief to learn the five common complaints IT professionals have with antivirus software and how you can find software that does the job right.